Does anyone out there ever incorporate humor into your picture making? You know, just for the fun of it. Or, do you only make "serious" pictures? Re; the urinal picture in our 1st floor powder room*. I placed it there as a somewhat disharmonious act intended to give visitors to our home either a chuckle or a groan. In either case, those who know me will know that the image and the placement are an expressionof my sometimes quirky sense of humor. 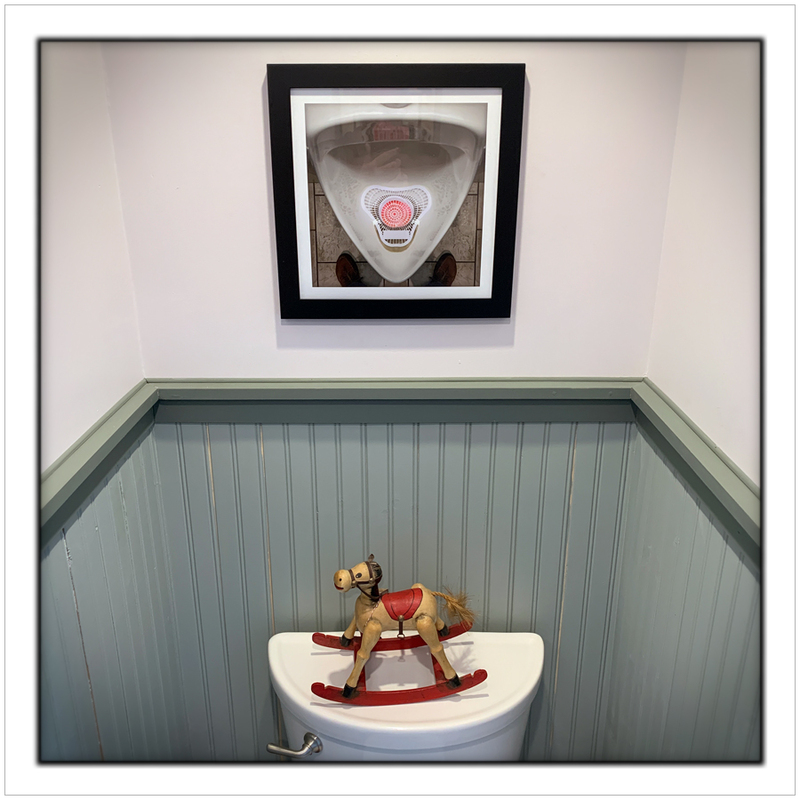 That written, an unintended consequence, for me, of the placement of the picture has resulted in a weirdly disorienting feeling when looking at it while urinating. It sends an instantaneous-almost pavlovian-request to my brain to look down to make certain I am hitting the target. Truly weird.